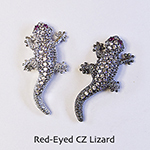 New Items October 2013 : Ezel Findings: Jewelry making supplies, jewelry findings, clasps, bails and more! It is covered with CZs. It is gracefully curved. Size: 38mm x 6mm. 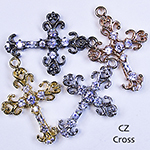 A very fancy cross pendant. It has a channel back. so you might want to decorate it in your own way. It has 9 CZs. 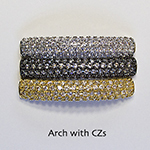 Size: 31mm x 21 mm. This lizard is covered with CZs. and It has red ruby colored eyes. Size: 27mm x 12mm. 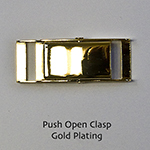 Easy to use, simple design clasps. Size: 39mm x 15mm.